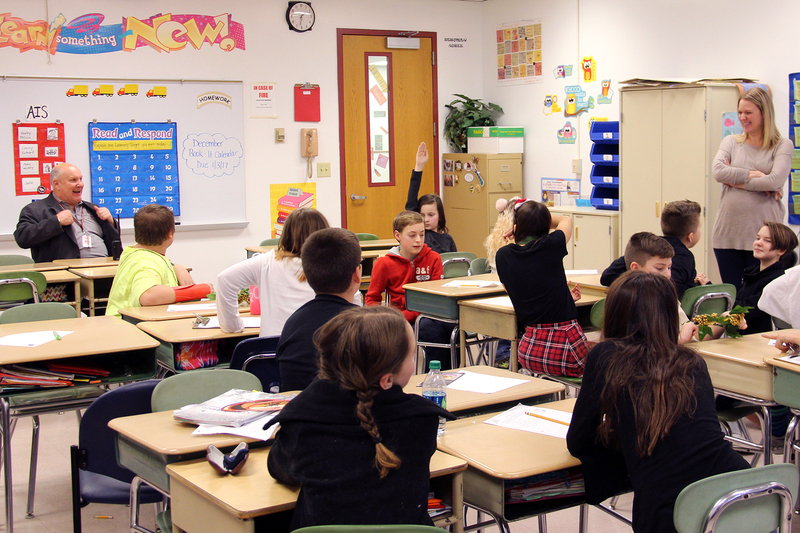 CENTRAL SQUARE – Students in Caroline DeSocio’s sixth grade class at Central Square Middle School embarked on a project to become movie makers. Principal Paul Schoeneck joins one of Caroline DeSocio’s sixth grade classes, as they celebrate their accomplishments as movie makers. 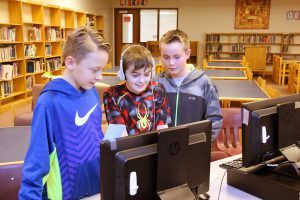 As part of the district’s ongoing emphasis on student literacy, this class brought reading together with technology, as students created movie trailers for a book they recently read. Using the internet and Windows Movie Maker, they added slides, font, animation, transitions, voice-overs and sounds in order to create a book trailer that would persuade their classmates to read their chosen book. Throughout the project, each student learned about movie editing, while also learning about conducting online research as well as copyright and trademark guidelines. Upon completion, students celebrated a job well done by holding a screening party in the classroom. 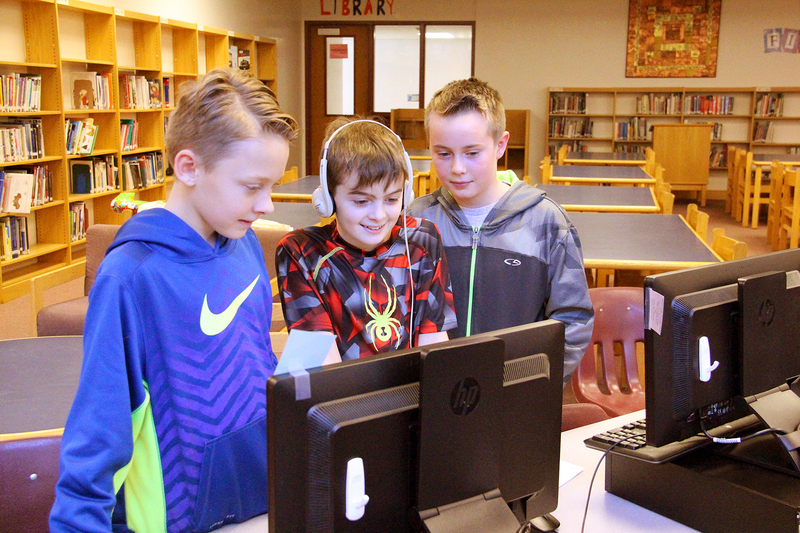 Students Aidan Greene, Bradley VanMarter and Braden Lucas put some finishing touches on the book trailer videos they are creating, as part of their sixth grade classroom project. Parents, staff and community members were invited to attend the viewing party and everyone was given the opportunity to watch the book trailers and provide feedback after each was viewed. 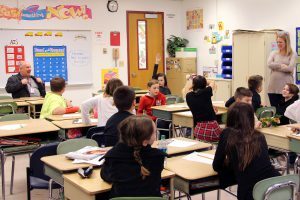 “I really enjoyed how you all found creative ways to include story elements in order to tell enough about the book without giving the ending away,” DeSocio said, praising the class for their hard work and dedication to the project. 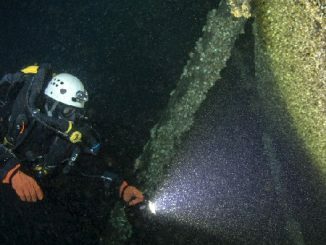 Given its success and positive feedback, the school is looking to continue expanding this project for years to come.